As part of my new occupation as a colony chaplain I am required to attend Wednesday night T-N-T. For those who don’t know, it is an intimate time of fellowship, reading scripture, and praising God. This week was filled with personal conviction, deliverances, and brokenness. Sidebar: This time is near and dear to my heart for many reasons, especially because I was in the colony during this Christmas season. In addition, there were some declarations of gratitude because of God’s hand in their situation, others shared some Word from their alone or devotion time. However, one of the men broke down in tears because of the broken relationship with his father, and in the midst of the testimony, his father came from the back of the chapel running and embraced him with a passionate hug. 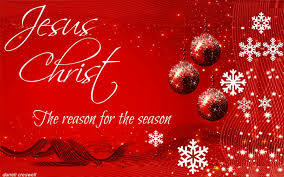 Are we thankful for the meaning of the cross or for the sake of the season, the baby in the manger? Do we appreciate eternal life that was granted to us at Calvary?